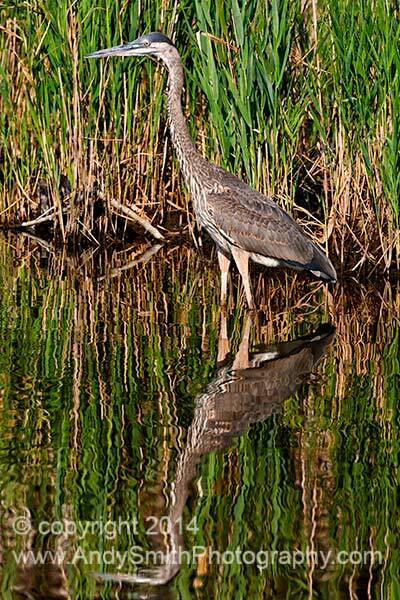 The Great Blue Heron, Ardea herodius, is found widely across the US, Mexico and Canada. The Great Blue fishes in both fresh and salt water. This one is standing in a pond at Heislersville, New Jersey.